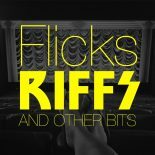 Author Archives: Flicks, riffs and other bits. As I watched this film about the 2013 Boston Marathon bombing and the subsequent manhunt, my initial thoughts was that this hollywood film was too soon to make. FIVE MOVIES IN 5 MINUTES. Here’s my review of five movies I’ve seen in the last couple of months. It will only take you five minutes to read this. Start the clock. Despite its total failure at the box-office and film critics slating it, to my surprise, I enjoyed watching this film. And I can’t really pinpoint why. Review: GUARDIANS OF THE GALAXY VOL 2. The first Guardians film rocked out like a great vinyl record played at a fun 70’s space-theme dress up party . So does the second Volume play just as good ? DON HENLEY, THE BOYS OF SUMMER, AND THAT HOTEL IN CALIFORNIA. Don Henley – the new (old) kid is in town tonight. So how come I enjoyed this one more than Peter Jackson’s version of Kong in 2004?